Fire damage can be incredibly devastating for your home or business. Aside from the fire, smoke, and soot damage your property can experience after a fire, you may experience water damage as well. During times of crisis, such as a fire loss, you might feel confused and overwhelmed. Our SERVPRO of Warren County team will guide you through this crisis and make your fire damage "Like it never even happened." Our SERVPRO team has the best team and best specialized equipment to properly handle your fire loss. SERVPRO of Warren County treat you, your family, or your employees with empathy and respect and your property with care. If you suffer a fire damage event, please refer to our Fire Damage Tips—Until Help Arrives Guide and follow these tips to protect yourself and your property. 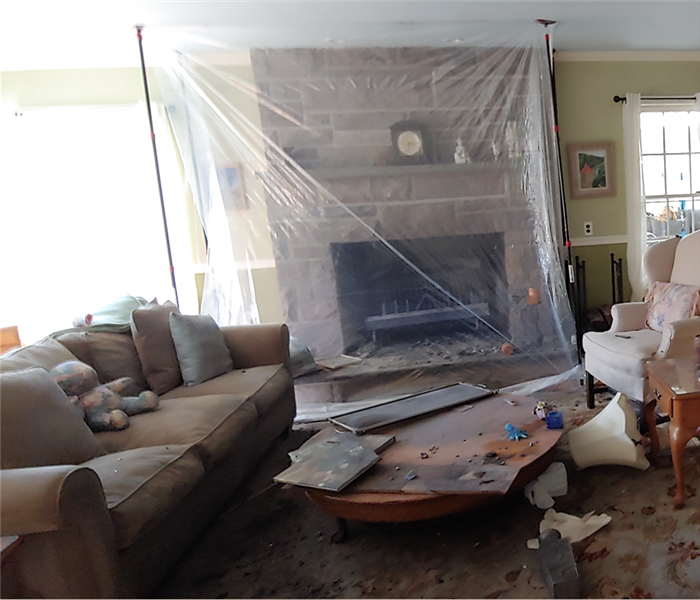 When your Hackettstown home or business experiences fire or smoke damage, you need professional help quickly. SERVPRO of Warren County is dedicated to responding immediately, which helps to prevent secondary damage and to reduce the cost of restoration. SERVPRO of Warren County is locally owned and operated, so we are part of this community too. When you have a smoke or fire damage emergency, we’re already nearby and ready to help. We take pride in being a part of the Hackettstown community and want to do our part in making it the best it can be.